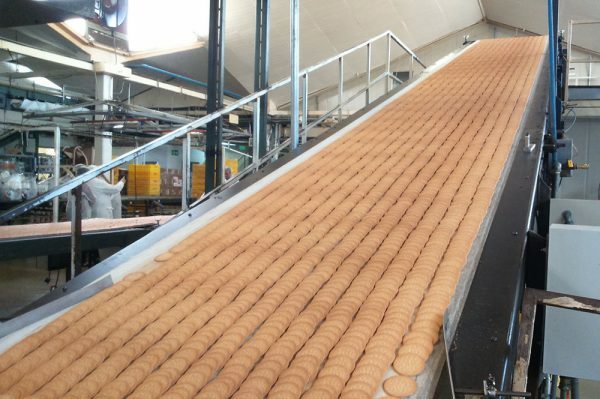 Conveyor belts for bakery & biscuits manufacturing. Knife-edge application, highly resistant to animal and vegetable oils. Easy to clean cover, FDA and EU10/2011 food quality. For sweet and savoury non-oily dough: CLINA or NOVAK PVC belts. For sweet and oily dough: CLINA or NOVAK PU belts. CLINA 10FF is the best belt in the market for this application. It has low adherence and good release of dough, resistant to oils and greases, flexible on knife-edges. 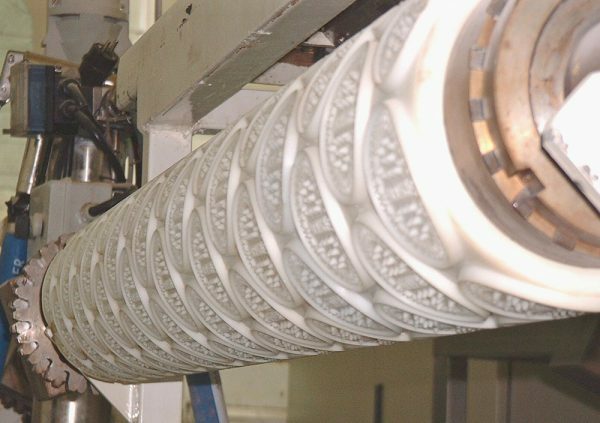 The leftover dough is transported on CLINA 09FF or NOVAK 09FF and returned to the laminating machine (CLINA or NOVAK PU belts with one or two plies). Biscuit cooling is not induced to avoid altering the biscuit properties. The cooling line is usually a very long belt (usually between 1.5 to 3 times longer than the oven). Our CLINA and NOVAK PU belts are stable, flexible and resistant to high temperatures, oils and abrasion which are necessary qualities to function correctly in the application. Standard TPU belts in white, blue and ocher. Above average load capacity but high flexibility for knife edge applications. Both the belt and its raw materials are of FDA and EU 10/2011 food quality . Glossy, smooth, homogeneous, non-porous, easy to clean cover. Low adherent cover for better release of the conveyed product. Low adherent cover for a good product transfer and positioning. Premium PU belts in white and blue. Strong and long lasting antimicrobial & antibiofilms effects (ISO22196). Wick resistant fabric to enhance hygiene. Above average load capacity but high flexibility for knife edge applications and energy saving. High stability fabrics yield long flexural life. Both the belt and its raw materials are of FDA and EU10/2011 food quality. TPE Polyester matt belts, in blue and natural. Metal detectable to enhance food stream inspection. 100% Wool Felt, TUBUL belts. Truly endless, no seam or joint. CLINA 08DF – TPU belt for inclined cooling line. CLINA 10FF – Biscuit Rotary Cutter. PF08EF – TPE matt belt for very sticky and abrasive pastries and energy bars. 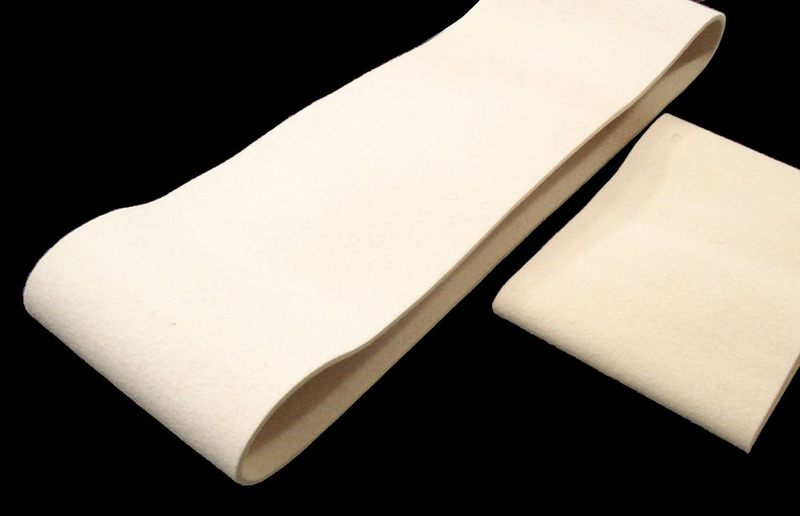 TUBUL series – 100% Wool Felt belts for bread forming machines. 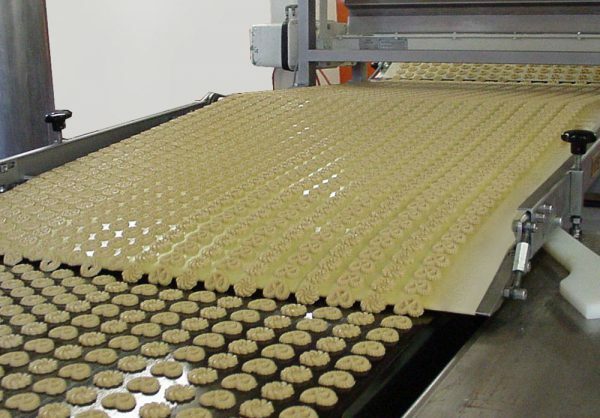 Conveyor and processing belts for bakery and biscuits manufacturing. Knife-edge applications, oil resistant, easy to clean. For all types of processing and conveying needs.